More than 80 people have had at least indirect contact with an Ebola patient in Dallas, Texas health officials say. On Wednesday, officials said 12 to 18 people were potentially exposed to the patient, identified as Thomas Eric Duncan. According to Dallas County Health and Human Services, officials have gathered the names of additional individuals who have been in contact with those 12 to 18. 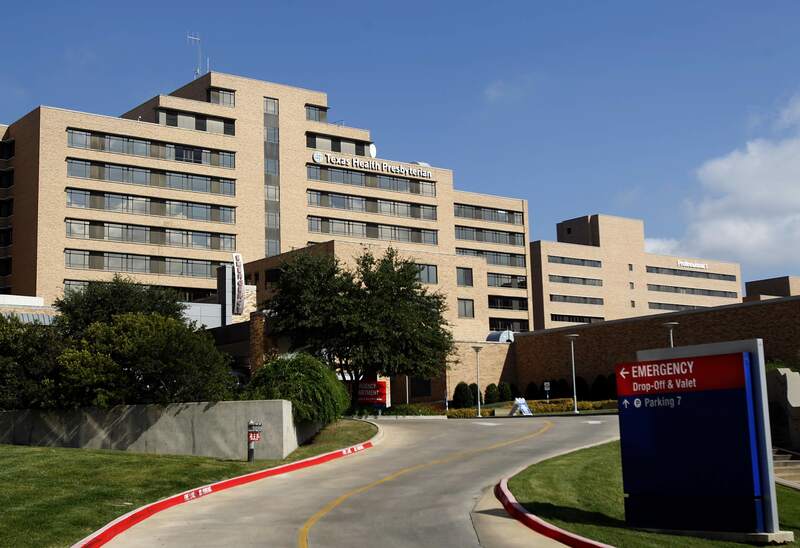 Duncan, a Liberian national who had recently flown to Dallas, remains in serious condition in a special isolation unit at Texas Health Presbyterian Hospital. Hospital officials were questioned Wednesday on why Duncan wasn't isolated on his first visit to the emergency room last week. A nurse learned that he had recently traveled from Africa during his visit to the emergency room Friday but hospital officials said that information wasn't passed along. Among the 12 to 18 people who may have had direct contact with Duncan at the apartment complex where he was staying with relatives are five children who attend four different Dallas-area schools. Officials emphasize that the kids have not shown any symptoms of Ebola and they believe the student population is safe. Still, state and county health officials on Thursday ordered four close family members of Duncan stay at home and not have any visitors until at least October 19. The local health department had previously instructed Duncan's family to stay home. A public health control order was issued to ensure compliance. "We have tried-and-true protocols to protect the public and stop the spread of this disease," said Commissioner of the Texas Department of State Health Services Dr. David Lakey. "This order gives us the ability to monitor the situation in the most meticulous way." The orders -- which were hand-delivered to family members Wednesday evening by local health officials -- legally require that the family must stay at home until October 19 at the earliest. Also, no visitors will be allowed without the approval of local or state health departments. The family must also provide blood samples upon request, and to immediately report any symptoms of the sickness to Dallas County Health and Human Services. If a person does not follow health control measures, he or she may face criminal charges.